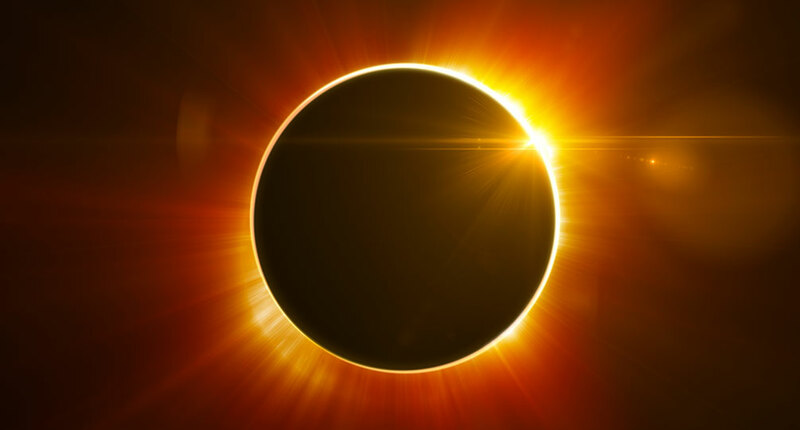 Ideum authored and received a NASA a grant to extend the tremendously popular web-based Space Weather Media Viewer to the mobile platform. In partnership with Goddard Space Flight Center, Ideum worked to develop iOS and Android versions of the application. 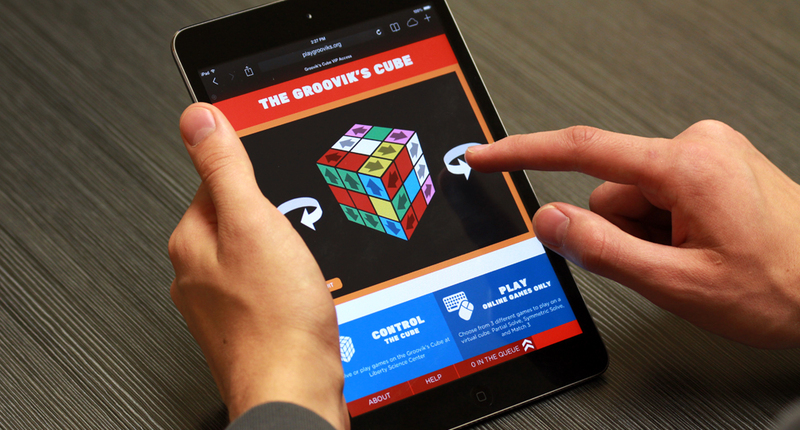 A free, full-featured iOS native application is available for the iPhone, iPod Touch, and iPad. You can get the free application on the iTunes Apps Store. The free Android version is available in Google Android Market Place and the Amazon App Store. The Amazon App store provides a great description of the application: With Space Weather Media Viewer installed on your Android device, you won’t need a spacesuit to explore the final frontier. This app features near real-time images of outer space from a wide variety of NASA missions, as well as video interviews with prominent scientists about the science of space weather and its effects on Earth. 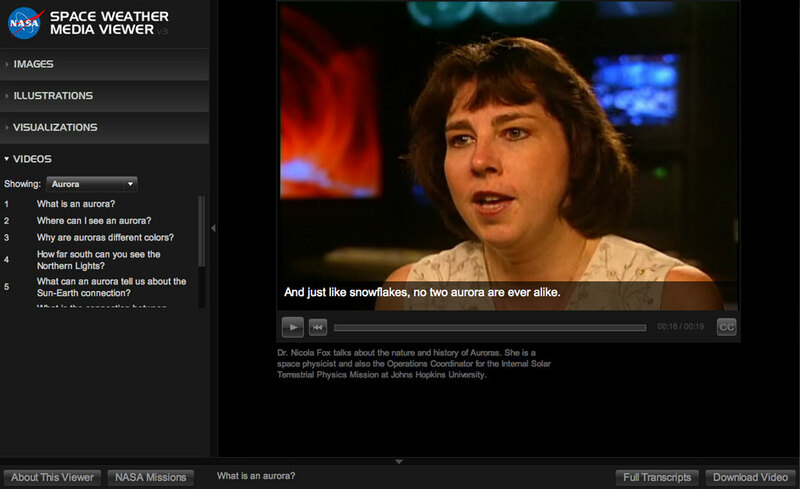 Ideum created the Space Weather Media Viewer for NASA to educate the public about the wonders of space weather. 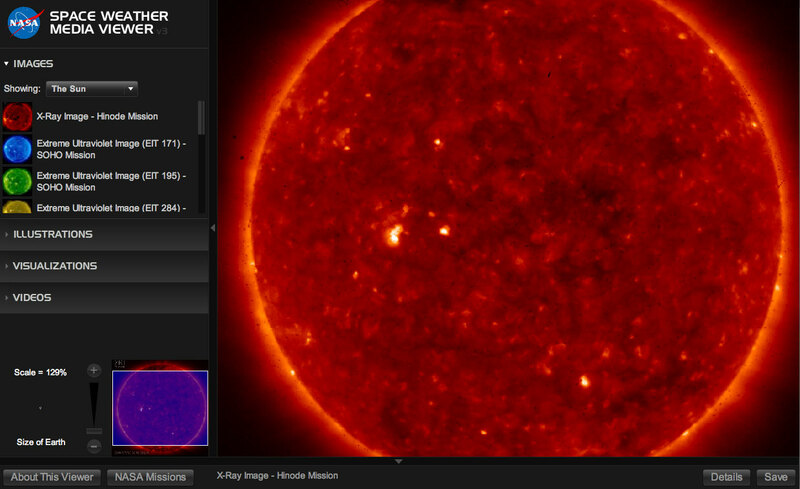 Space Weather Media Viewer isn’t your ordinary weather app. 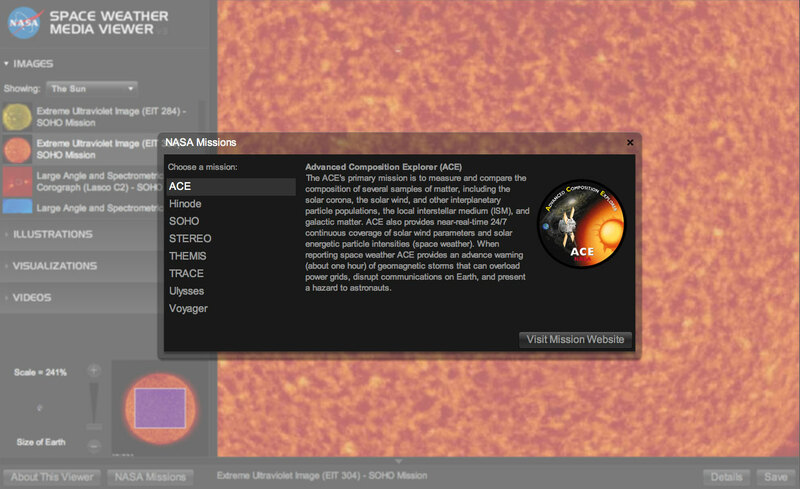 In Live Views, view full color images of the sun created from atmospheric imaging assembly, large angle and spectrometric coronagraphs, helioseismic and magnetic imagers, and other high-tech equipment. Every picture is accompanied by a full explanation of the phenomena, along with the description of the technology used to capture the image. There are images of the solar wind and the auroras as well. 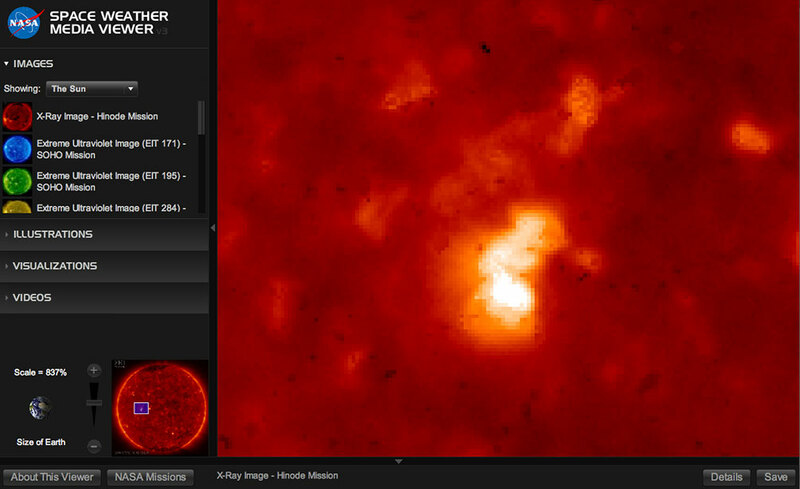 The Visualizations section features videos of the sun and auroras. In the Videos section, meet the astronomers who study these natural wonders. The section is divided into The Sun, Solar Wind, Magnetosphere, Aurora, Heliosphere, and Missions. In the bonus More section, check out the space age equipment NASA uses to explore the far reaches of outer space. If any of your friends are into astronomy as much as you are, share any of these app’s resources through Facebook and Twitter. 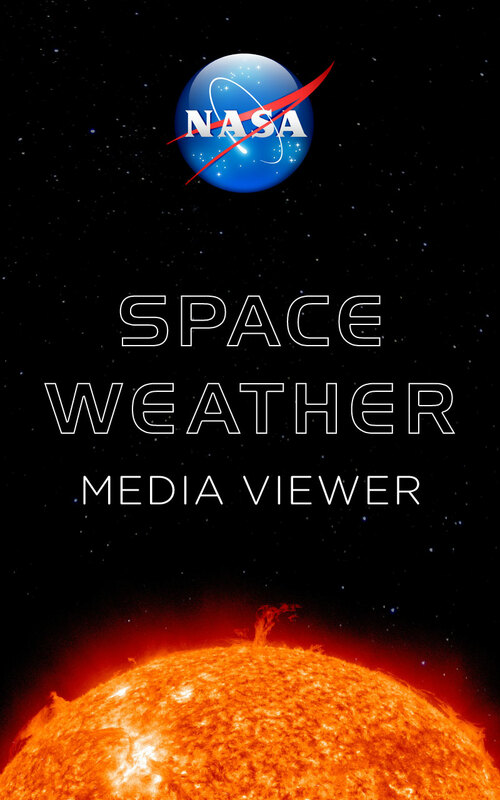 Space Weather Media Viewer truly takes you where no one has gone before. The app opens a window on our neighborhood in space. Interviews with scientists provide context and perspective. A sunspot glows like an ember in this X-ray image. 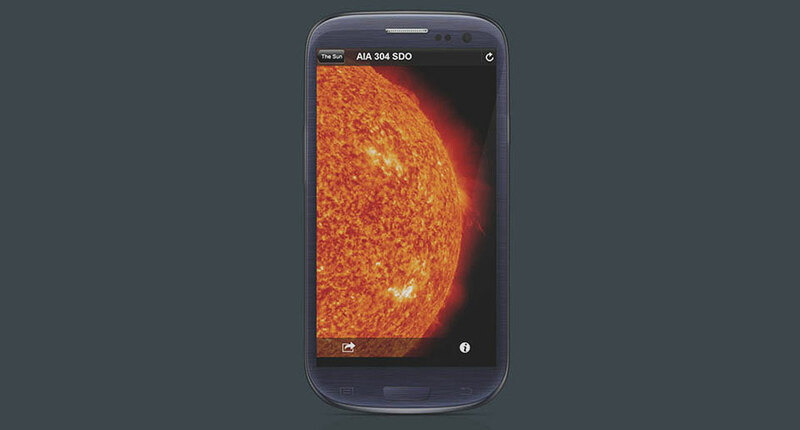 App users can view the sun at a range of wavelengths. The app details NASA missions to explore the solar system.